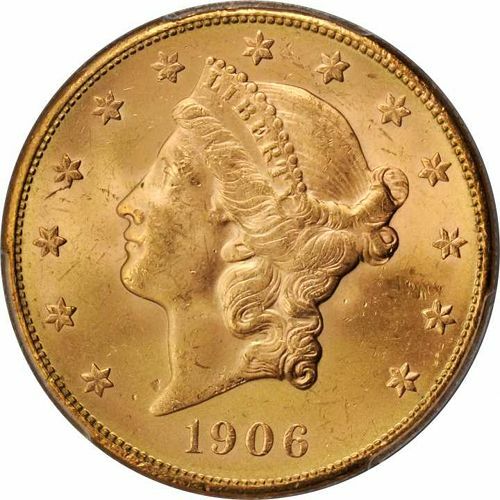 Customers: Please take note that we will ship these coins based on our current inventory and from years of our choice, all of which will range from 1850-1907. We are delighted to offer authentic first-edition $20.00 Liberty Gold Double Eagle coins produced by the US Mint from 1850 through 1907. This beautiful coin is a favorite for investors and collectors who enjoy Americana, vintage coins, and coins that display the various incarnations of Lady Liberty. The Liberty Double Eagle coin was designed by James Barton Longacre. In this coin, Lady Liberty wears a coronet that is adorned with pearls and the embossed inscription LIBERTY. She is surrounded by 13 stars, and the mint date is embossed below. The Reverse side of the coin experienced two updates. The original 1850 coin was depicted with a halo of stars above the eagle’s head. In 1866, the stars were replaced with the words IN GOD WE TRUST. The final update for 1877 replaced the original denomination of TWENTY D. with the spelled out word DOLLARS. These $20 Liberty Gold Double Eagle Coins have been professionally cleaned and are in varying degrees of condition. 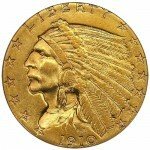 Silver.com is proud to also offer a large assortment of vintage fine gold pre-1933 US Mint gold coins with various other designs. Please note that your vintage coin will be personally selected for you by the staff at Silver.com. The coin is guaranteed to be professionally cleaned and bear a mint date between the years 1850 and 1907. We provide price reductions for larger quantities and a four-percent price reduction for orders paid by check and wire. Orders will be sent through USPS or UPS within three days of cleared payment, and delivered to the destination of your choice. Each order is fully traceable and insured from the time it leaves our facility to the time it reaches you. We also send out all items in inconspicuous packaging with orders over $300 requiring a signature. If you have any questions about our vintage $20.00 Liberty Double Eagle gold coins produced by the US Mint, the ordering process or anything else, please contact our professional staff at 888-989-7223 or through live chat.